At B&G Auto Body, we understand what it is like to run a small business on a budget. We know that the only way to achieve longevity in a competitive marketplace is to provide first rate service at a fair price. We are proud to have fleet clients from all over Maryland, Delaware, Pennsylvania and New Jersey who drive past dozens of auto body repair shops to have their trucks, vans and passenger cars repaired at our collision repair facility in Newark, DE. With a number of qualified shops in the area (and a number of slightly less qualified shops), we know that the decision on where to develop a fleet service relationship is not one made in haste. 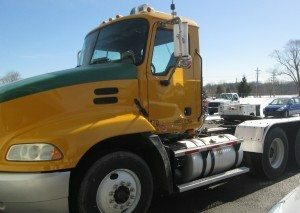 We greatly value the relationships we have with the management and staff at a number of local trucking and bussing companies, construction outfits and even governmental operations at the municipal and state level. We welcome bid opportunities and have no problem putting our pricing and results up against any other shop in the area. We know that our commitment to outstanding service, honest pricing and realistic turn around times keeps us competitive with only the best shops in and around the Newark, Wilmington and Middletown area. We are a proud Nationwide On Your Side Certified Specialty Repair Service Facility for Fleet, Commercial and RVs. To explore a fleet relationship with B&G Auto Body or to schedule an estimate today, call 302-454-7500 and ask to speak with Ed. We also eagerly welcome walk in appointments for estimates during regular business hours.